Toyota of Orlando – Spring Engineering, Inc. 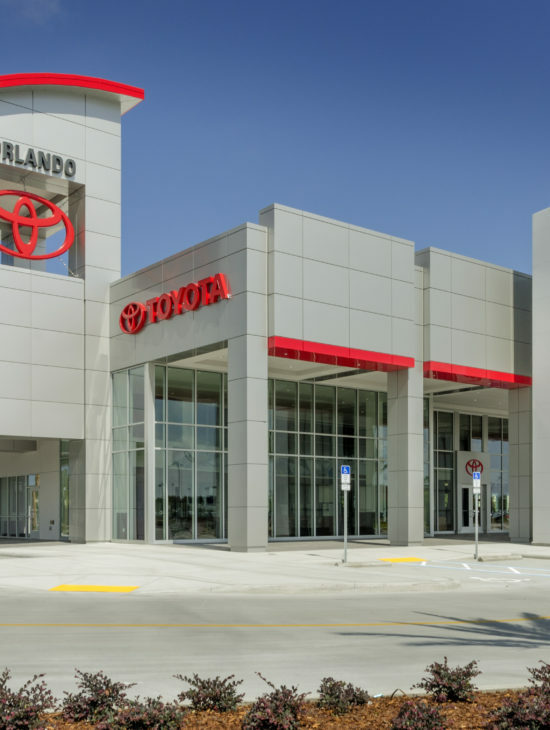 In 2010, Spring Engineering, Inc. was commissioned by Vineland Motor Sales to design a Toyota dealership located on the I-4 corridor in Orlando, Florida. The project is located on 21 acres and is comprised of a 69,907 S.F. showroom and service building, a 27,266 S.F. collision center and a 3,200 S.F. carwash facility. The main dealership building is unique to all other Toyota dealerships throughout the country in that a tower element was incorporated into the design. 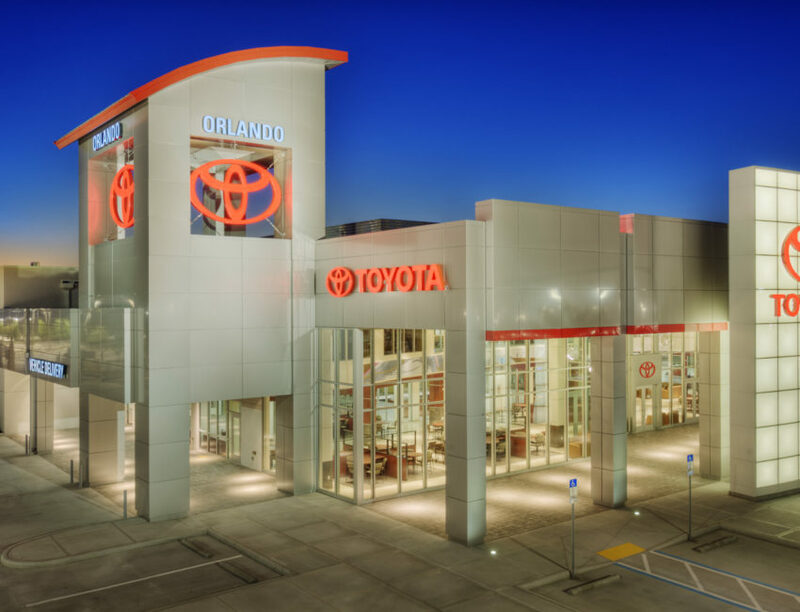 This feature sets Toyota of Orlando apart from the rest and gives it a dominant appearance along Interstate 4. The interior of the dealership has polished tile floors, is trimmed with cherry veneer accents and glass walls give the interior a sense of transparency. 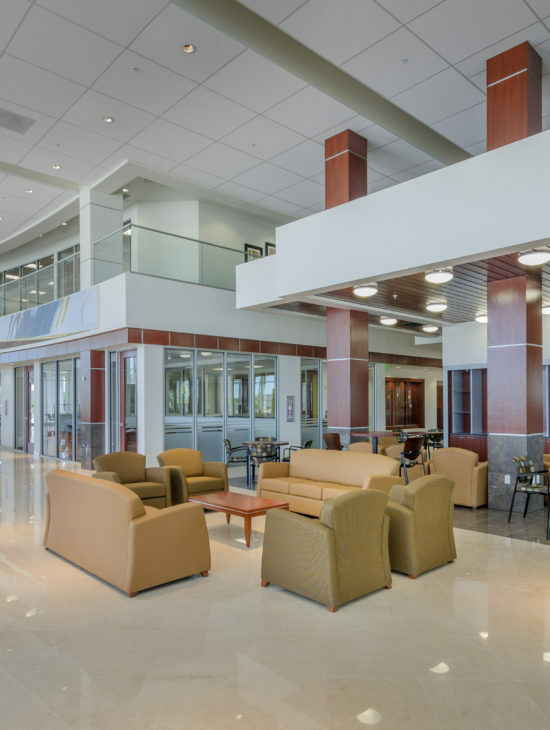 The high tech service center consists of 55 service bays, is fully air conditioned, has polished concrete floors and contains clerestory windows for natural daylighting. The high tech collision center contains 22 work bays and also has a first class paint department with four paint booths. The front office area resembles the interior architecture of the main dealership building and contains offices for staff, lounge area for customers and a break room and locker rooms for employees. The scope of work provided for this project included but was not limited to: programming, site design, 3D renderings and new construction.